February 5, 1941 - November 21, 2017 Armando Flores passed into eternity in Rosarito, Baja California, Mexico, on November 21st due to ongoing health-related complications. Armando Flores passed into eternity in Rosarito, Baja California, Mexico, on November 21st due to ongoing health-related complications. 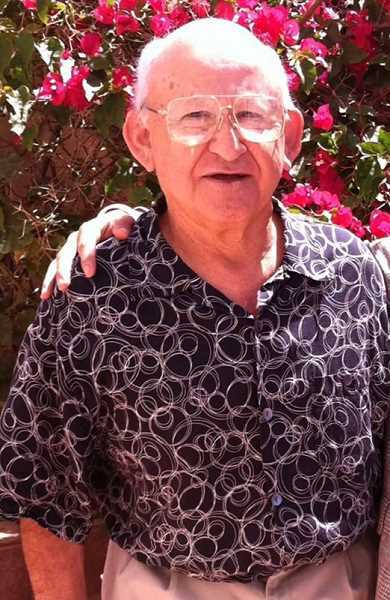 He died peacefully in his home as he was being cared for by his wife of 35 years, Linda Flores. Armando grew up in Portland, Oregon, and attended Sacred Heart Grade School and Franklin High School where he was known for his strong athletic abilities. He worked for Hanna Industries for many years before transitioning into the home building/ construction field. He was a hardworking, active man until his body and mind began to fail him in his later years...just weeks before he passed away (while battling late stage dementia) he told his son Troy "I need to get a job - I can't just sit around the house all day". Armando and his wife Linda retired to Baja California, Mexico, in 2010 where they were active and beloved members of their church, Calvary Chapel Rosarito. We rejoice that Armando is now at peace, no longer physically or mentally in pain and is in the presence of our Savior. His life journey is now complete. Armando is survived by his wife Linda Flores, sons Bill and Troy Flores, daughter Diana (Annie) Peters, step-children Troy Lown and Carrie (Lown) Higgins. Armando and Linda have 11 grandchildren and one great-grandchild. A memorial service was held at Calvary Chapel Rosarito on Saturday, November 25, 2017 - beautifully officiated by Armando's son Pastor Troy Flores.